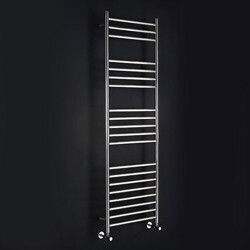 Phoenix Radiators > Athena Towel Radiator (16 Rails, Stainless Steel). 600x1200. 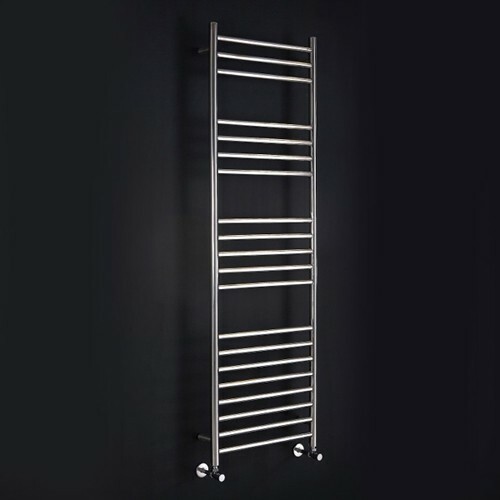 Athena towel radiator with 16 rails in stainless steel. 1840 BTUs. Size: 600W x 1200H mm. Strong stainless steel construction with better heat output. Can be fitted with an electrical element to provide heat even when your central heating is turned off. 20 Year guarantee: Phoenix guarantee this Athena radiator for 20 years. The Phoenix radiator range offers a large choice of quality bathroom radiators for heating your bathroom or cloakroom.